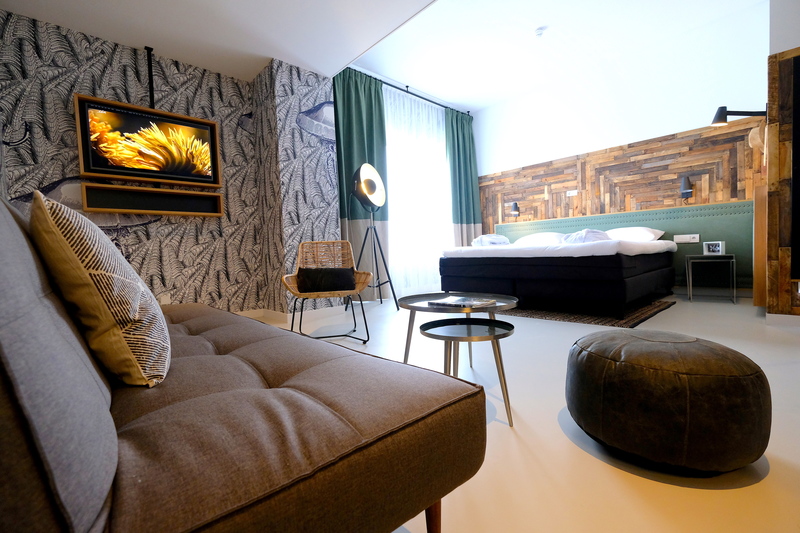 On 19 April of this year, the new Apollo Hotel Vinkeveen-Amsterdam welcomed its very first guests. The hotel comprises 88 modern rooms. 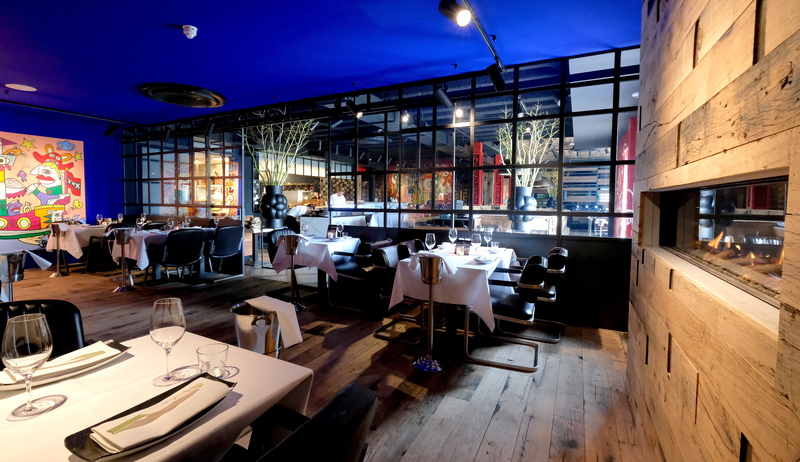 In addition, The Harbour Club has opened its latest establishment in this brand-new hotel. The Harbour Club Vinkeveen can accommodate 150 guests inside the restaurant, 150 outside on the luxury terrace and can be reached by both land and water. There is a jetty for guests to moor their boats. Upon arrival at Apollo Hotel Vinkeveen-Amsterdam, your eye is immediately caught by the impressive ship located on the roof. The interior of the hotel, from the reception desk to the hotel rooms, is characterised by wood panels created from 600 fruit crates. The entrance to The Harbour Club is to the right of the reception desk. The wine cellar features an impressive mural by Pablo Lucker. 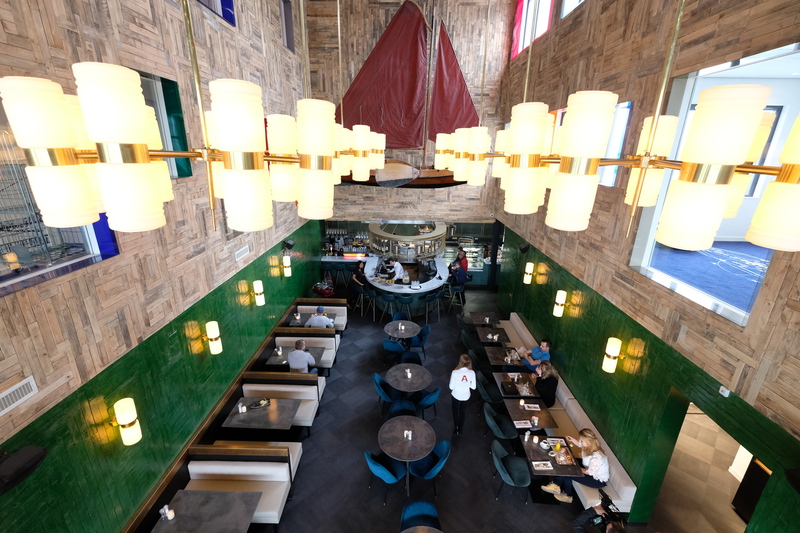 The interior design of The Harbour Club and Apollo Hotel Vinkeveen-Amsterdam was crafted by Will Erens of Too Many Agencies, renowned for works such as SNCKBR and Panache. This summer, Apollo Hotel Vinkeveen-Amsterdam is also opening an events centre next to the hotel, which has an equally exquisite view over the Lakes of Vinkeveen. It will be a multifunctional 1,200 m² building with a variety of boardrooms that can be fully transformed for the user’s needs. In this area, events can be held for anywhere between 10 and 1,000 guests.